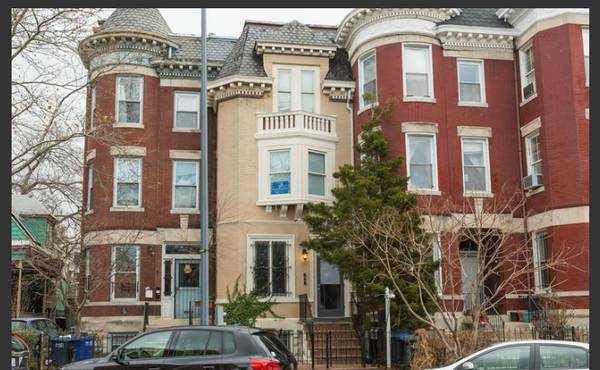 Sq Footage: the rowhouse has 923 sqft. Skip the group house and live with only one other roommate. 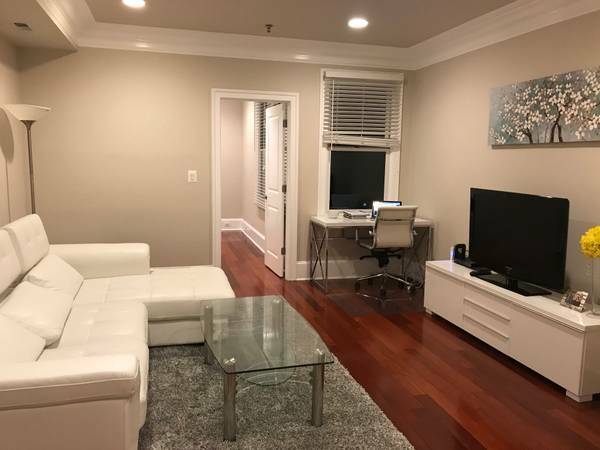 Spacious and conveniently located 1 Bed/1 Bath in a 2Beds/2Baths row house in Columbia Heights available now! The house: Cherry wood floors, recessed lighting, and crown molding. Galley kitchen with granite counters, dishwasher, disposal, and microwave. Large furnished living room. In unit washer and dryer. The two bedrooms are on opposite end of the row house, providing maximum privacy. Utilities (cable/internet/electricity) will be split in half. Your room: Unfurnished (pictures from staged furniture). Spacious room and closet with plenty of morning sunlight. You have your own bathroom. Your roommate: Late 20s female working at the World Bank, clean and easy going, non-smoker.